Olena Dmytrenko, head of the Kozeletska settlement AH of the Chernihiv Oblast, presented the AH results to the journalists. She spoke about the programmes adopted by the village council in various areas, changes that took place in course of this year and a half, and about the challenges they face every day. “Our hromada has been working since May 2017, and switched to direct interbudgetary relations from 1 January 2018. Everything we have today is the fundamental basis for the further successful work of the council,” assured Olena Dmytrenko. In 2018 the Kozelets settlement council adopted the Strategic Hromada Development Plan, developed with the support of the Chernihiv LGDC. The Administrative Service Sentre was opened in the AH in early 2018. It currently delivers 120 officially approved services. The ASC cooperates with the mobile service centre of the Ministry of Internal Affairs, which allows residents of the entire Kozelets Rayon to receive additional services in Kozelets. At present, the ASC is involved in the modernisation project implemented by the U-LEAD with Europe Programme, as well as in the pilot project of small and medium enterprise development of the FORBIZ project. The Kozelets ASC initiated intermunicipal cooperation with village councils that were not included in the AH, and with established AHs that do not provide such a wide range of services as in Kozelets. 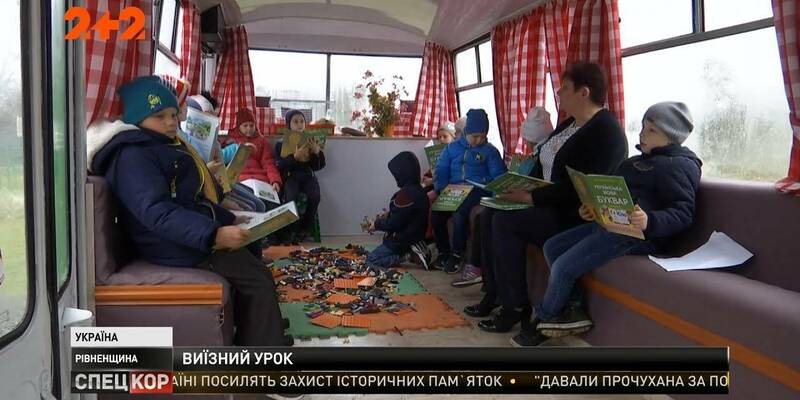 There are 11 kindergartens working in the hromada, of which three are located in Kozelets, and eight – in starosta districts (in total 468 children are educated there). At the end of 2017, a branch of a kindergarten, attended by 42 children, was opened in the premises of the former library of the gymnasium. The AH educational network consists of eight schools and a gymnasium, of which there are two hub educational institutions with four branches, and seven secondary schools. 1,652 pupils srudy there. The hromada has sports and music schools, children and youth art centre, as well as an inter-school educational and industrial complex (attended in total by 920 children). Two new school buses (at the expense of the hromada and infrastructure subventions) were purchased to bring pupils to schools. The hromada has a kindergarten for “special children”. There are a day care unit and rehabilitation department here, attended by 87 children, who need psychological correction of behaviour, physiotherapy and special classes. The Kozelets settlement council constantly finances the rayon hospital and programmes for the purchase of insulin, as well as initiatives aimed at assistance to seriously ill residents, etc. With the beginning of 2019, a capable network of healthcare facilities has been reduced throughout the Kozelets Rayon. There was only one outpatient clinic of general practice of family medicine and five rural health posts. According to the hromada, such a number of medical institutions will not be able to provide all AH residents with quality medical services. Therefore, it was decided to keep all 13 rural health posts in all village councils. Rayisa Shyian, acting starosta of the Omelyaniv starosta district, said that her starosta district could boast of the fact that one village building hosts all the institutions necessary for people – the post office, cultural centre, library and, of course, starosta and secretary’s offices. The Kozeletska AH in the Chernihiv Oblast was the first to create Municipal Guard, headed by Serhii Stasevych. According to him, the main task of the enterprise is to ensure public order in the hromada, but in a year and a half, the range of services has considerably expanded. Hromada’s historical and cultural attractions create a powerful potential for tourism development. Museums, temples and parks are included as sites to be visited during weekend trips organised by travel agencies. The tourists come not only from Ukraine, but also from abroad. This helps open new restaurants and establishments, private hotels and hostels. 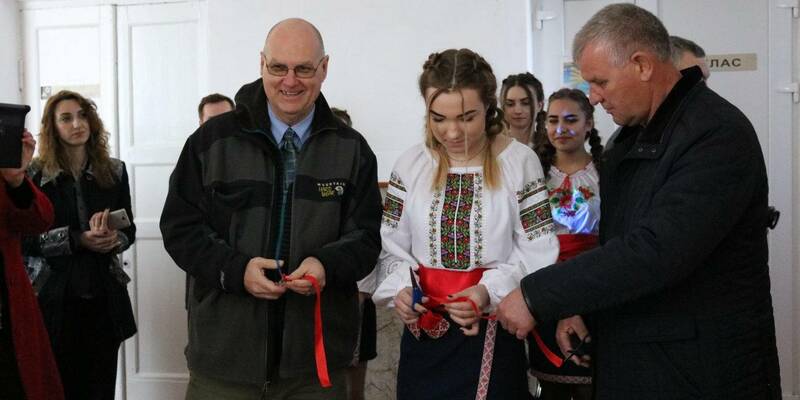 The media meeting in the Kozeletska hromada was organised for regional media journalists by the Chernihiv Local Government Development Centre, established with the support of the U-LEAD with Europe Programme.